Finally, the industry’s most advanced and innovative ozone generator for today’s market. The Ozodor™ is the most ruggedized generator supplying high concentration ozone on the market. It incorporates a digital logic module for flexibility and automation capability as well as a unique stainless steel ozone outlet. Many companies look for ways to get rid of bad smells created by their activity, but can never find the perfect odor eliminating machine. This is why we created Ozodor™, the ultimate ozone generator using the most eco-friendly and natural bacterial deactivator available, ozone. A proven and safe solution, ozone is recognized as the fastest and most powerful natural industrial air freshener. Ozone is created from oxygen (O2), which becomes ozone (O3) and then reverts back to oxygen (O2) after a few minutes in ambient air. Around the world, numerous buildings, restaurants and grocery owners are subjected to lingering odor problems related to their garbage rooms, trash chutes (multi story) or trash compactors. This problem, if not dealt with, usually results in tenant complaints, health issues as well as rodent and pest infiltration. Thus, finding an efficient air freshener is of paramount importance. This is why our ozone generator is the perfect solution. Already used around the world for as a powerful odor eliminator machine, Ozone™ has been proven to be an unrivaled industrial ozone generator for neutralizing aromatic molecules. 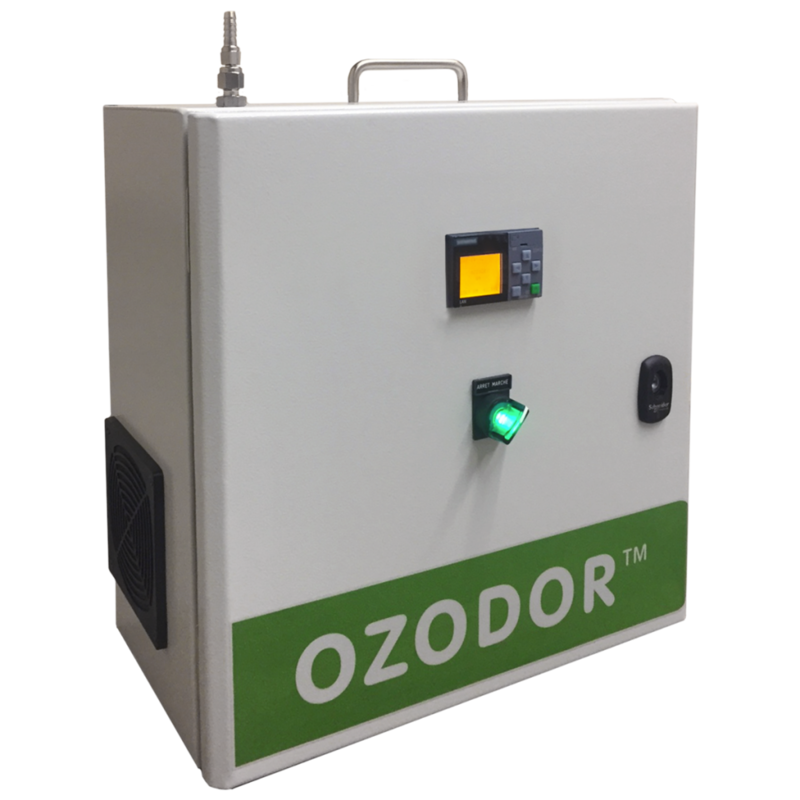 The exclusive, patent-pending Ozodor™ has been successfully deployed in neutralizing trash compactor odors, garbage room smells and restaurant ventilation evacuators. Ozodor™, as a strong ozone generator, does not mask the odor. The oxidizing power of ozone neutralizes the aromatic molecules responsible for the smell. There is no more need to refill the unit or handle chemical products since the ozone is produced on site and controlled with our micro-controller. How does Ozodor™, our commercial ozone generator, work? 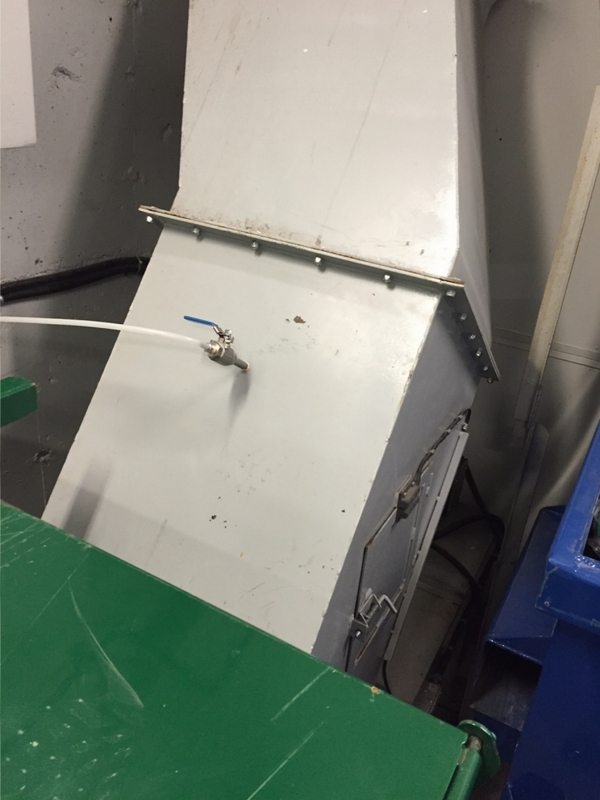 Plug-N-play, the Ozodor™ comes in 2 versions: Mobile version for majority of applications or trash compactor for continuous odor treatment for garbage related scents Ozodor™ small footprint and rigid NEMA enclosure produces compressed ozone on site and provides ozone where required through stainless steel tubing. For the ozone generator to be as powerful as can be, we have integrated an on-board air compressor capable of delivering high concentration ozone. For peace-of-mind, Ozodor™ is equipped with a logic controller for a complete and autonomous 365-day control providing the operators maximum efficiency and control. This way, you get an extremely efficient odor-eliminating machine. High ozone concentration with smallest footprint. Go green: Elimination of expensive and recurring use of chemical products, essential oils and soaps to treat lingering odors. Maintenance-free: Reduce indirect overhead cost related to the handling, storage and transportation of chemical products. Improve customer retention rate by eliminating complaints and related health issues associated with organic odors from garbage and trash. Safe: The ozone is consumed in the container and the dosing is maintained by the user-friendly micro controller. Peace-of-mind technology: Everything is produced on-site with logic controller for complete and efficient ozone production and injection.